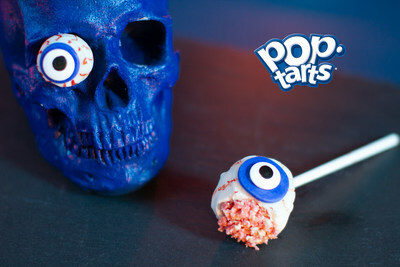 BATTLE CREEK, Mich., Oct. 15, 2018 /PRNewswire/ -- In advance of Halloween, Pop-Tarts® will throw treats and tricks into one bubbling cauldron as it takes over Kellogg's NYC Café. From October 24 -27, the café will exclusively feature new Pop-Tarts recipes designed to surprise unsuspecting taste buds with either a sweet treat or a thrilling flavor trick. 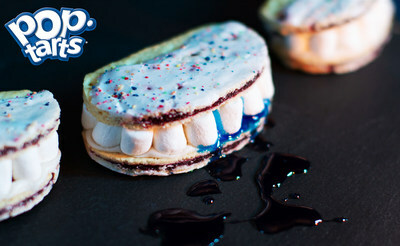 "This Halloween, we celebrated everyone's favorite things about Pop-Tarts – their soft crust, filling and frosting – to create a one-of-a kind menu full of tasty treats," said Joe Beauprez, Senior Manager of Pop-Tarts Marketing. "With recipes so simple fans can re-create the full menu at home, our café takeover shows there is no limit to how you can enjoy your favorite Pop-Tarts." 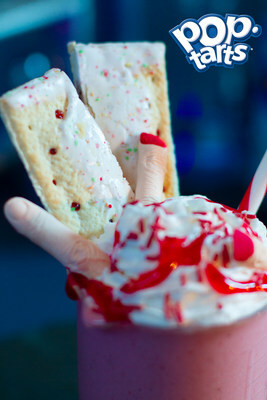 The bravest guests at the café can sign up to experience extra frights in the Pop-Tarts "Crypt" beneath the café. Those who survive will be rewarded with the sweetest treat of all – a first taste of new Pop-Tarts® Bites before they are on shelves this December. With everything that's great about Pop-Tarts®, including the soft crust, filling and frosting, these bite-sized pieces are perfect for snacking anytime and anywhere – available in two classic flavors, Frosted Strawberry and Brown Sugar Cinnamon. 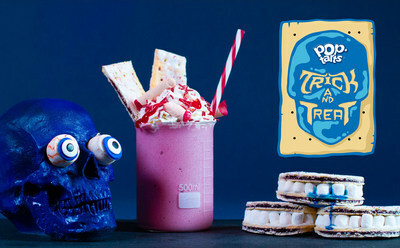 The Pop-Tarts Tricks and Treats Café will be open for all fans to enjoy from 11 a.m. – 11 p.m. on October 24-27. The "Crypt" in the underbelly of the café will only take souls between 5-8 p.m. on October 24 and October 25, and from 2-11 p.m. October 26-27. 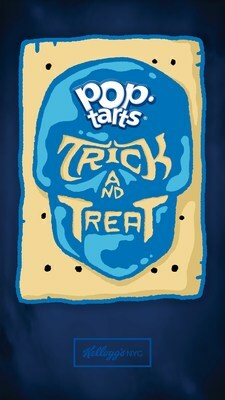 Those who dare to enter the crypt are encouraged to purchase tickets in advance at poptartstrickandtreat.com. For more information about Pop-Tarts® check out follow the brand on Twitter, Instagram, and Facebook.